Randy is an experienced entrepreneur and businessman, skilled in negotiating the best deal on behalf of his clients. 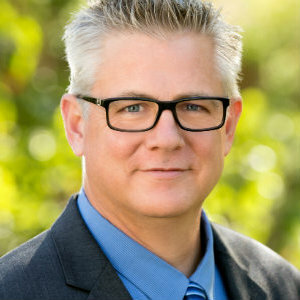 Randy first entered real estate in 1990 and is now proud to be a member of the Heyler Realty team. He is the father of three children and owns a veterinary clinic in Santa Monica. Randy and his wife Dena live in Los Angeles. Randy was born at Fort Gordon Army base in August, Georgia where his father was stationed during officer training. Later his father was transferred to Frankfurt, Germany where Randy was raised until he was 2 1/2 years old. After his father was honorably discharged from the military, Randy moved with his family to Los Angeles, where he has happily raised his own family. It was Randy’s love of homes and architecture that led him to getting his real estate license in 1990. He wanted to be able to help the people he cared about with their real estate needs. Randy prides himself in helping his clients find the home of their dreams. He works tirelessly with each of them to determine their needs and match them with the perfect home and neighborhood. As a Realtor, he is able to combine his skills as a businessman to negotiate on behalf of his clients and fight for each deal, making sure every detail is addressed. Randy is a husband to his wife Dena and father to three beautiful children. In addition to being a Realtor with Heyler Realty he is the owner of veterinary clinic in Santa Monica and a print broker business. His wife Dena is a teacher for LAUSD.